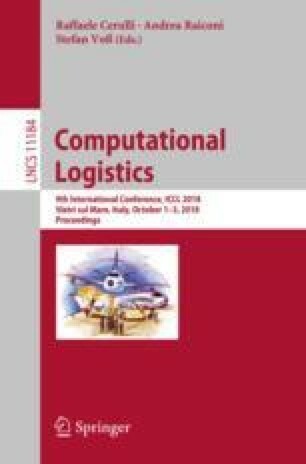 This paper presents a real transportation problem stemming from offshore oil and gas logistics and shows how optimization models used in a rolling horizon simulation framework can be very valuable to assess and improve the operation’s performance. With this aim, we study how the Order Selection Problem (OSP), a problem that helps the logistics provider decide which orders to carry to and from the platforms and which to postpone, and the Vessel Routing Problem with Selective Pickups and Deliveries (VRPSPD), that in addition to the order selection also routes the vessels carrying the orders, can be used in a practical planning setting. To quantify and justify the benefits of using the VRPSPD and OSP models in a real planning situation, an industry case based on real data was simulated in a rolling horizon framework and solved for an entire year. In addition to the traditional cost metric used, the focus of this paper lies on the implication these have on other important aspects that are often neglected in traditional optimization models; regularity and level of service. Several strategies for overbooking and postponing orders were also evaluated with respect to their cost, regularity, and level of service. This research is funded and carried out as part of the Center for Integrated Operations in the Petroleum Industry. This support is gratefully acknowledged.